1. New ARM-based instances in A1 category. It supports upto 100 GBs of network bandwidth. 2. Now Linux VMs can be hibernated, so next time you wake them up, it will be quick to start your work. 3. Now you can bring AWS services to your own data center. AWS Outposts, which is expected to be available by next year, will be most awailted feature of AWS of rencent time. 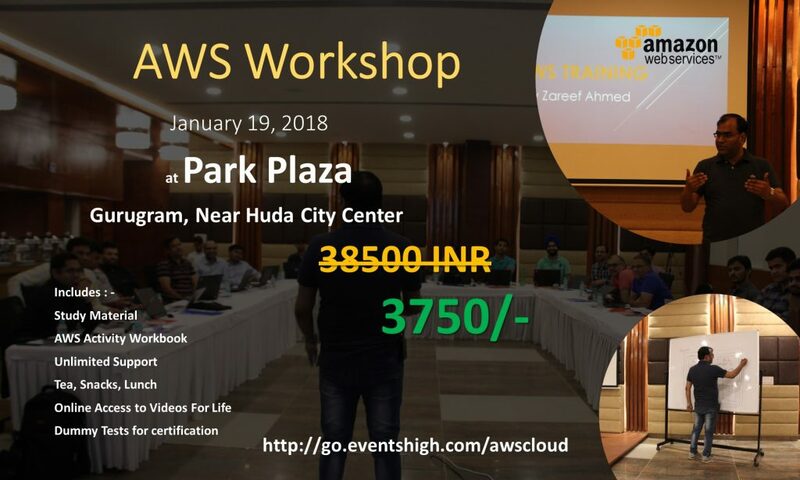 AWS certification exams are quite popular and in demand. AWS is an open cloud provider with largest market share. Certification gives you any benefits or not, is always a debatable topic. I am not going into that aspects of certifications, in my view, if you do not see any value in certifications, you can still use them as a benchmark of your own learning journey. In August 2017, AWS launched VMware for Amazon Cloud service after one year of work with vmware. It was announced at VMworld. It was in beta access since sometime for some selected customers. Now you can take your VMware load to AWS while still managing your inhouse cloud operations. In this article, I am enlist some of the highlights of this service. 1. Currently it available in only US west (Oregon) region. AWS Migration has been recently announced by AWS. This is a service which you can use to migrate your applications to AWS. This service can be used to track status of application migrations. In this article, I am compiling 3 things you should know about it.